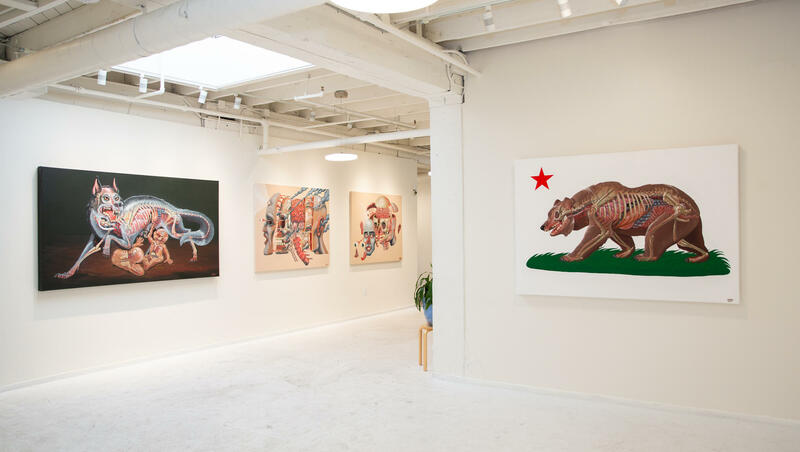 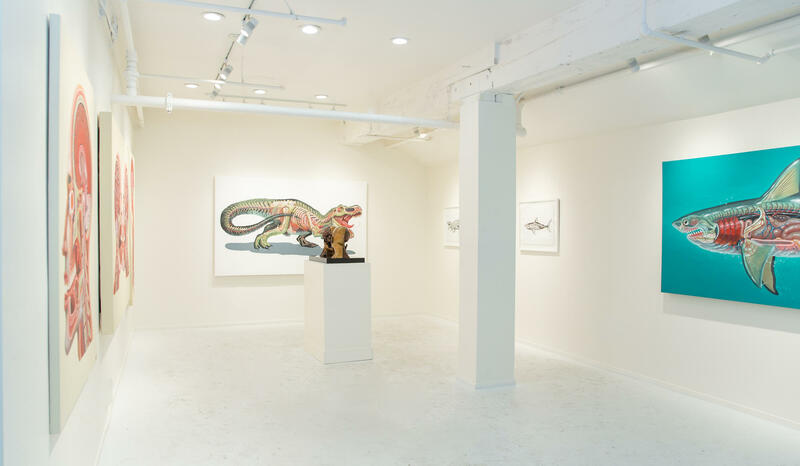 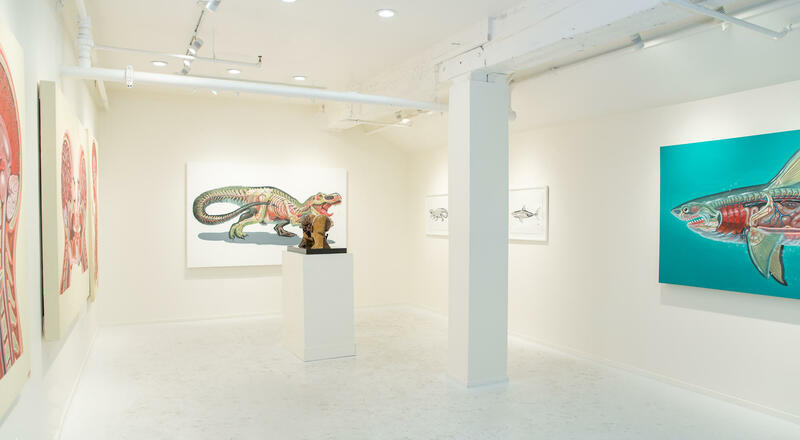 Mirus Gallery SF will be closed Thursday November 22 - Saturday November 24 for the Thanksgiving holiday. 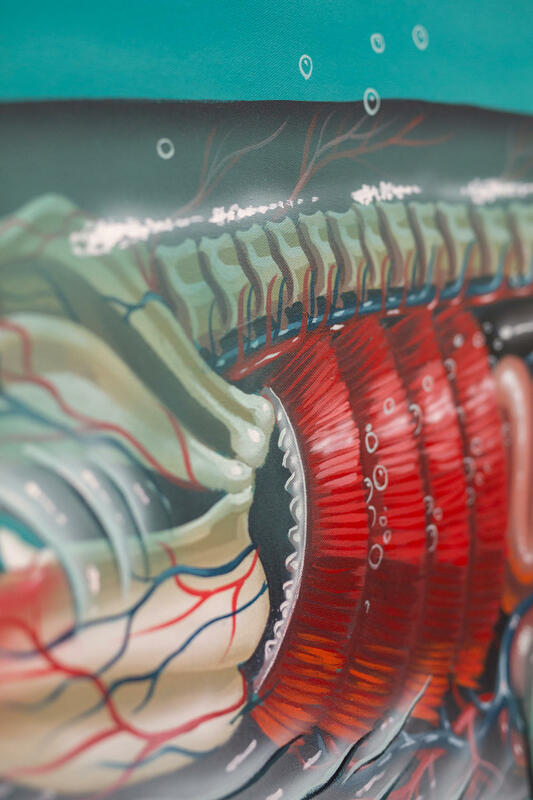 We look forward to seeing you regular schedule the following week! 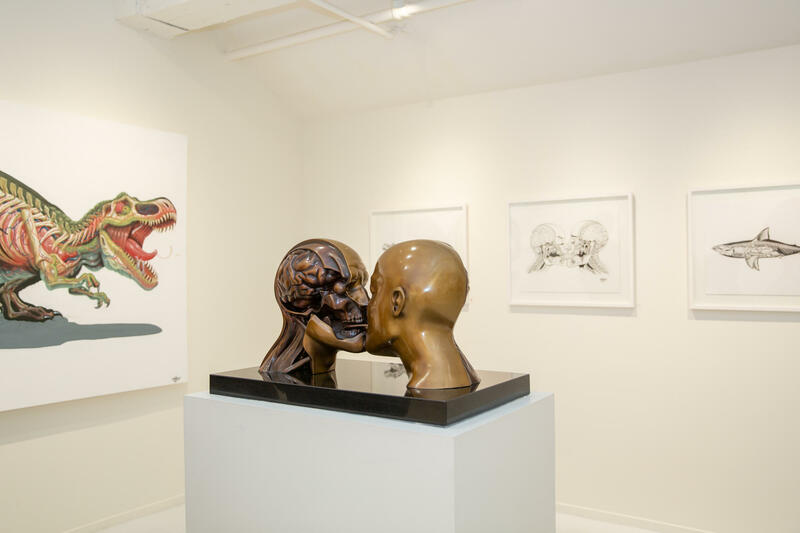 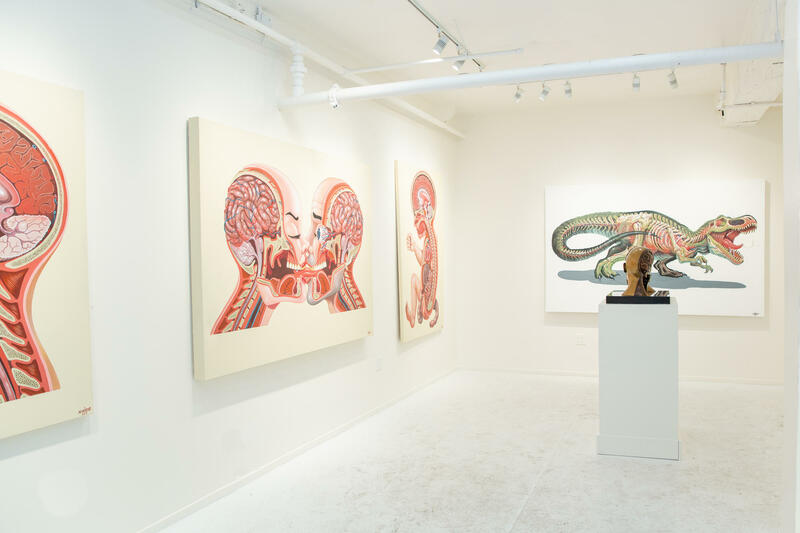 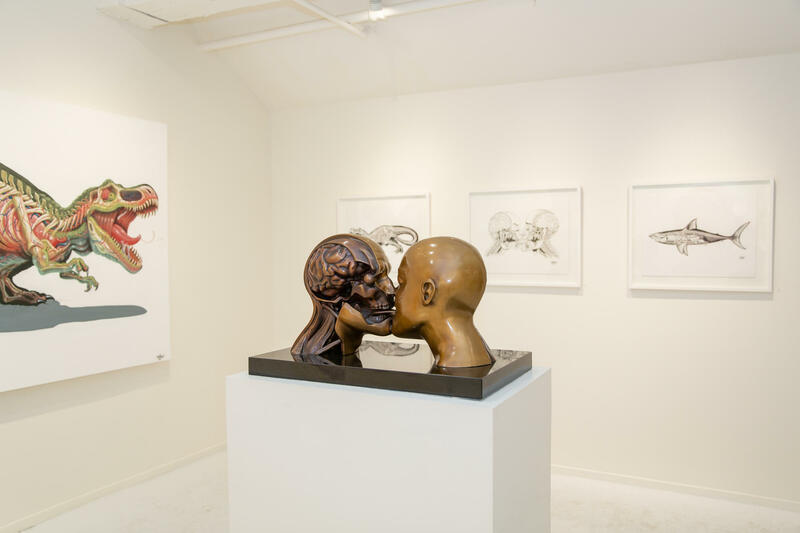 Mirus Gallery presents a solo exhibition of new paintings and sculptural works by Nychos opening November 9, 2018. 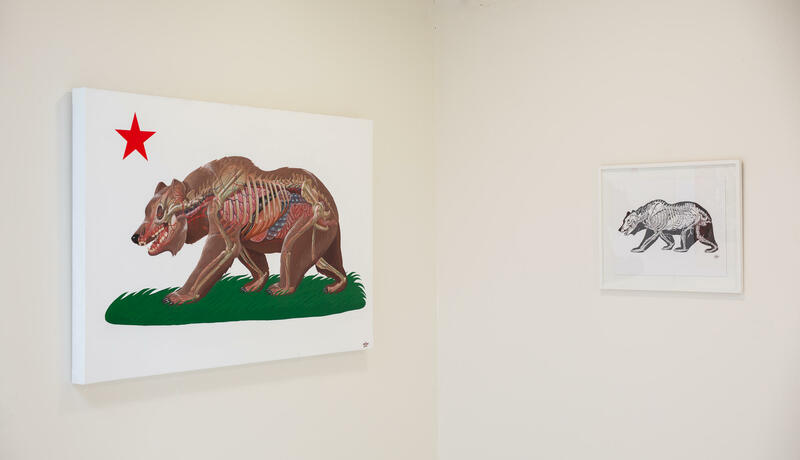 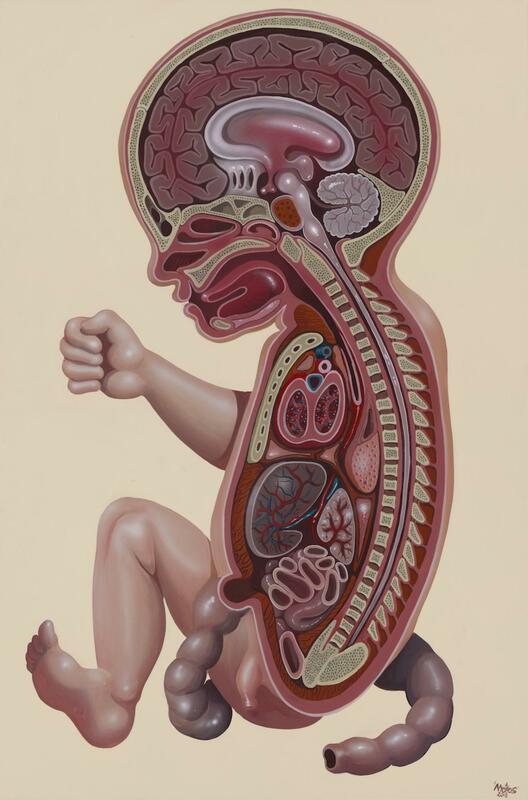 About the Exhibition: Anatomy is a powerful tool to approach the inward. 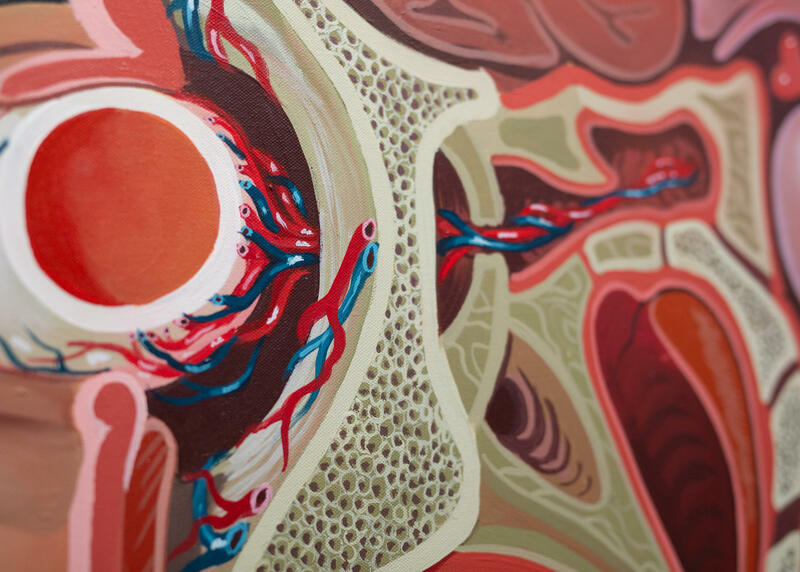 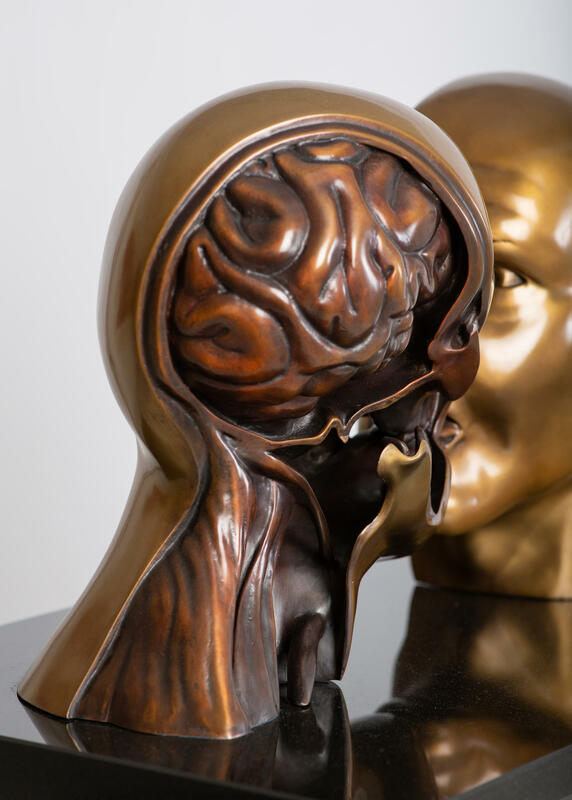 By slicing off layer by layer, the anatomist aims at striking a certain truth. 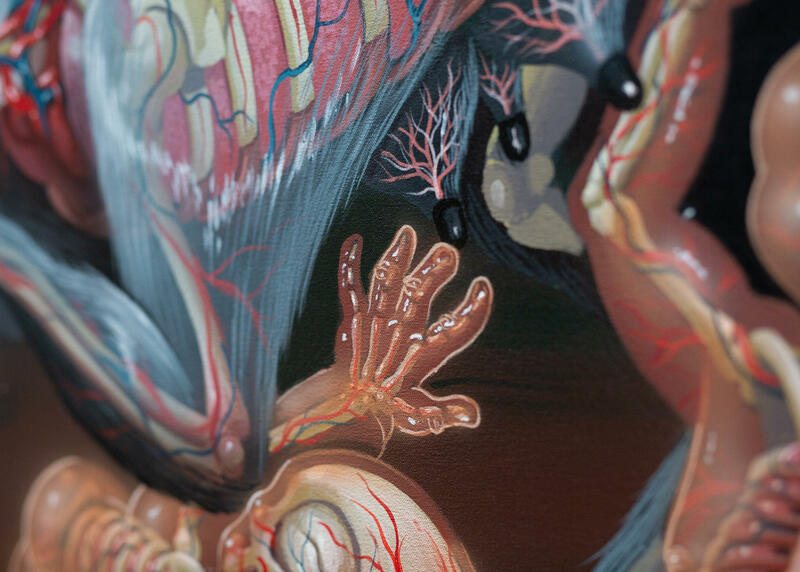 Over the past years, Nychos has been stretching his tool to the limit in order to figure out that there's another kind of truth. 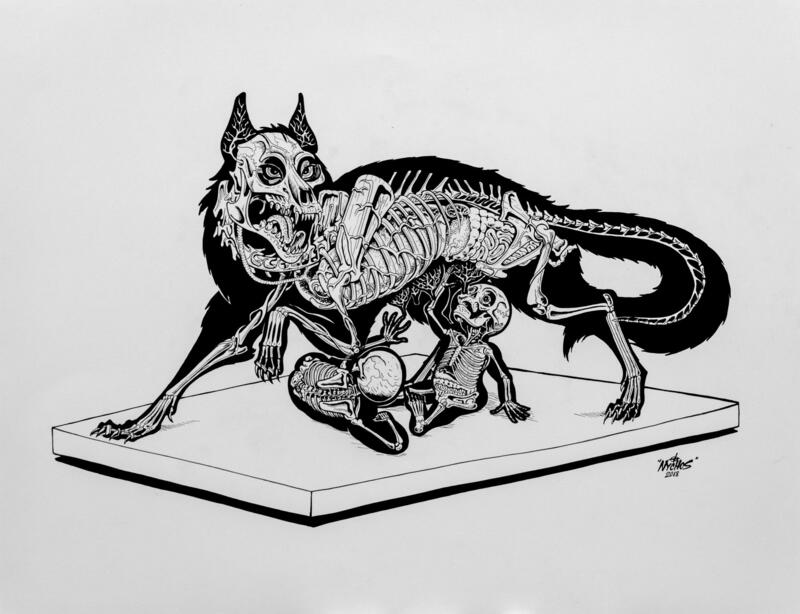 A truth that only shows when you turn yourself inside out. 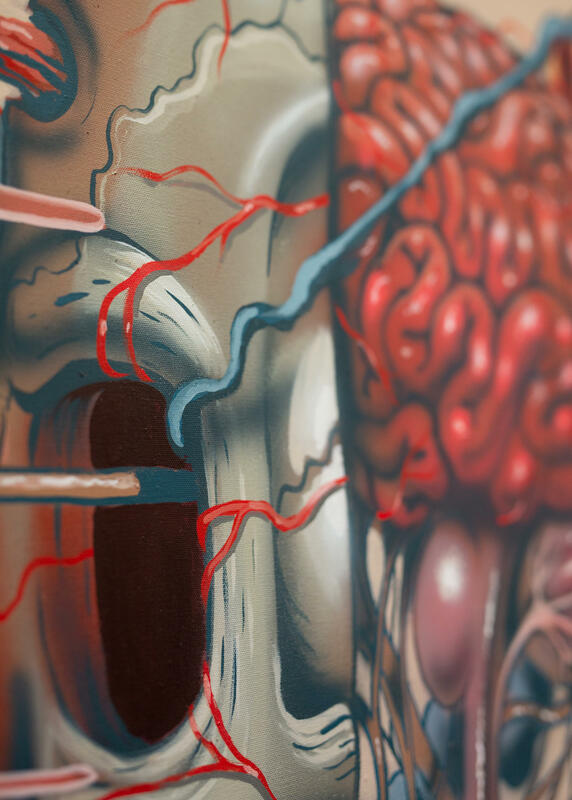 "Endless Layers till Consciousness" is a multi-dimensional journey through Nychos' oeuvre. 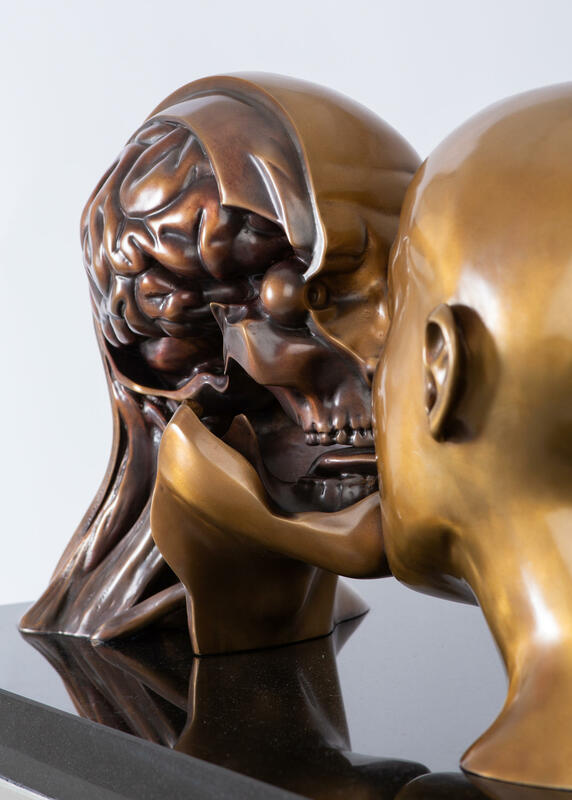 The journey starts two dimensional, leading through select ink drawings and canvases, which pave the way for the next step: The third dimensions, visualized by three sculptures, incorporating the marriage of bronze and glass. 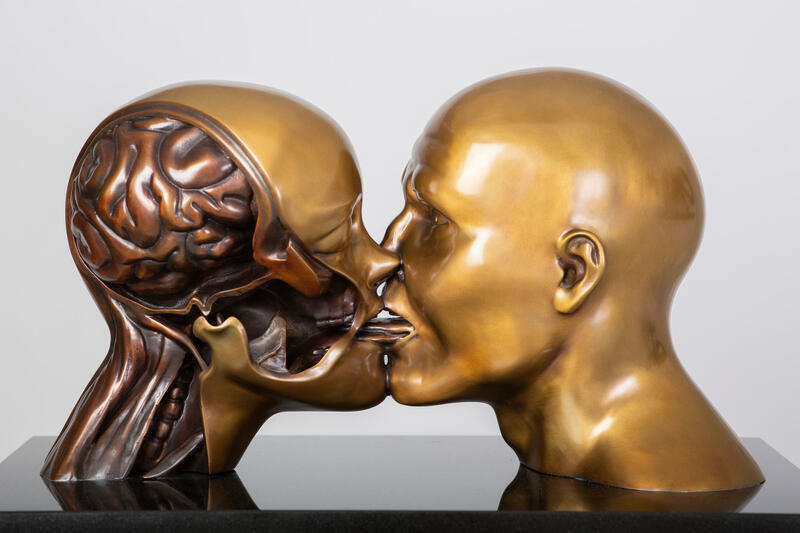 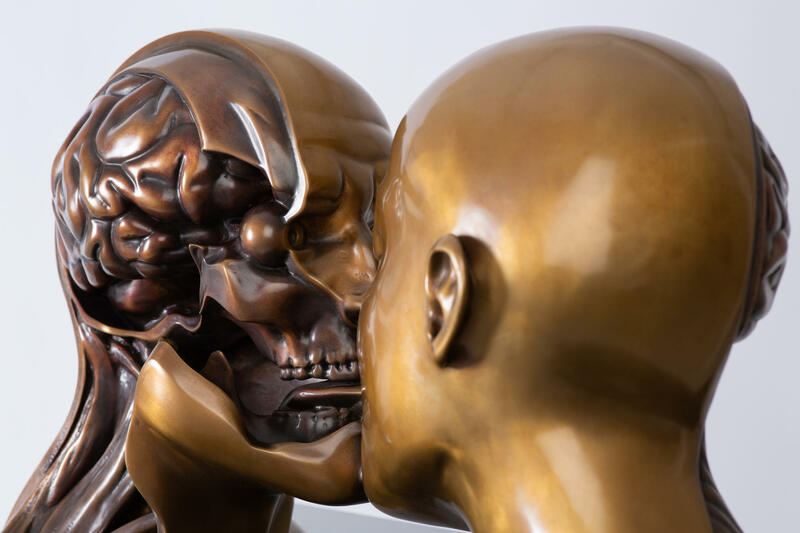 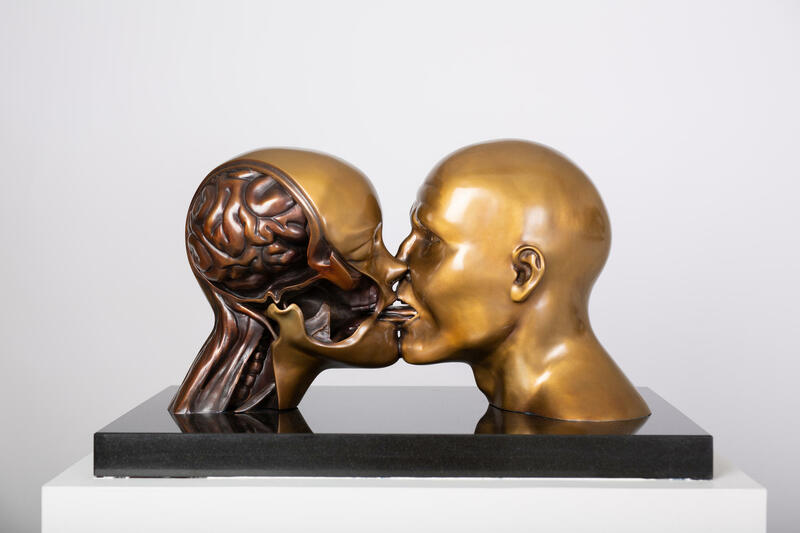 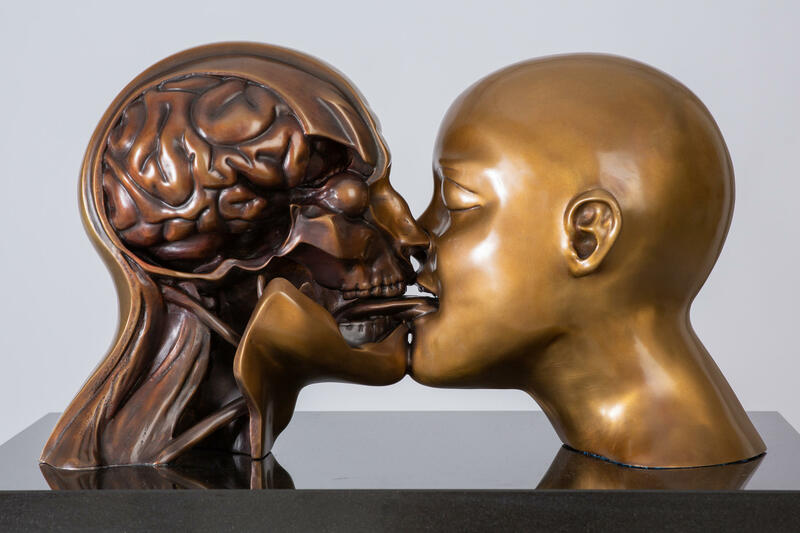 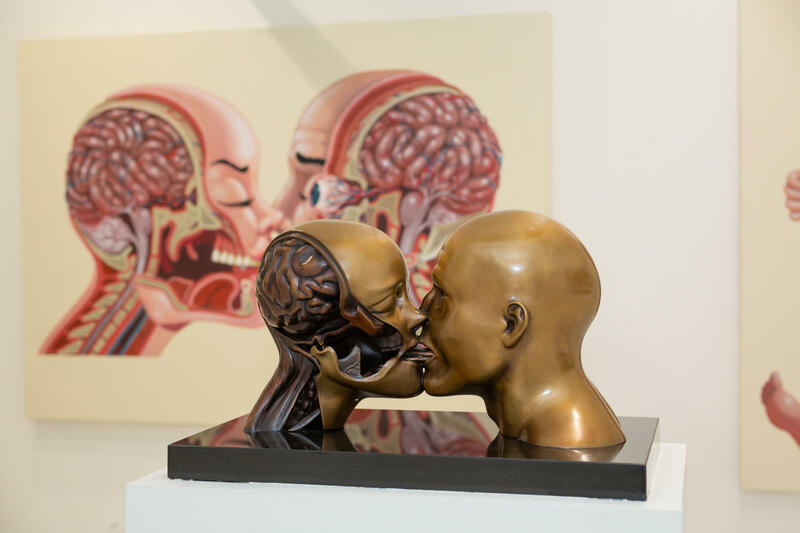 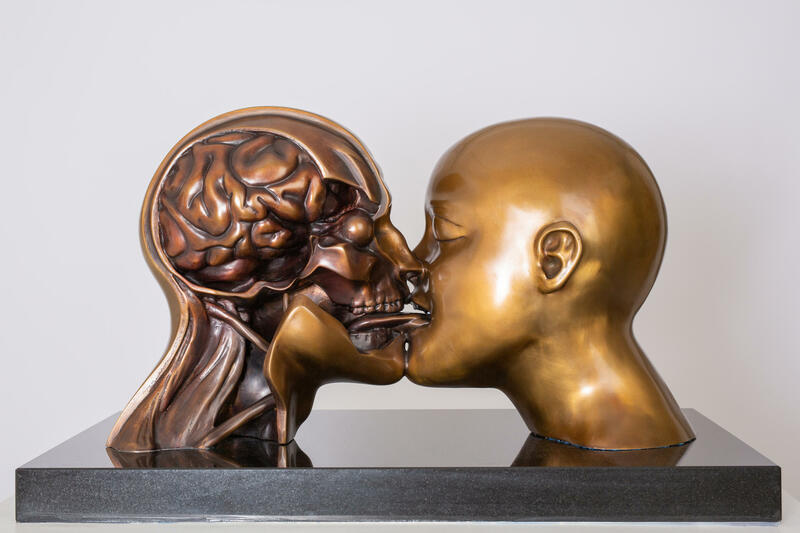 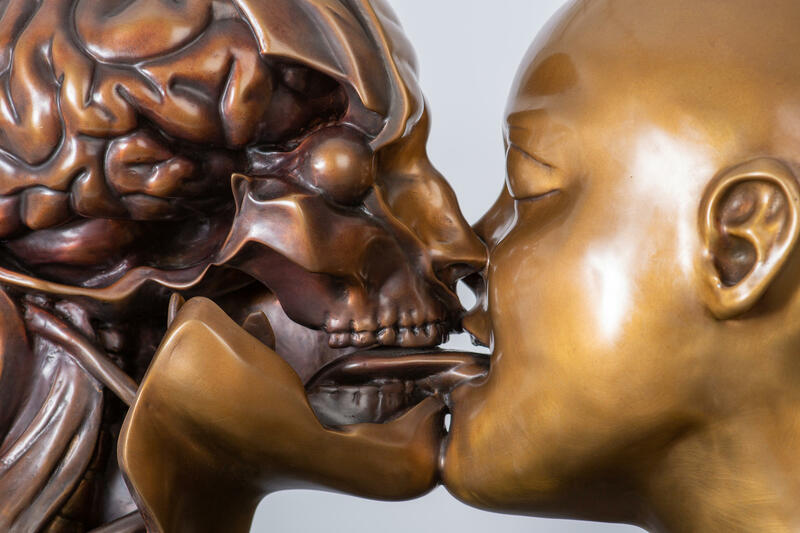 A chemistry that is picked up on one of the main pieces of the show: Two heads, merging into each other through a deep kiss. 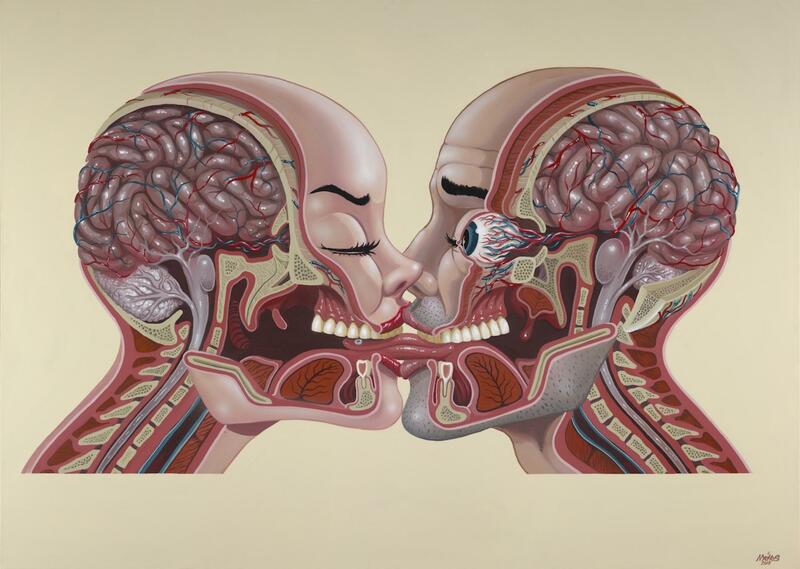 "Chemistry" marks the interface between the anatomical and spiritual. 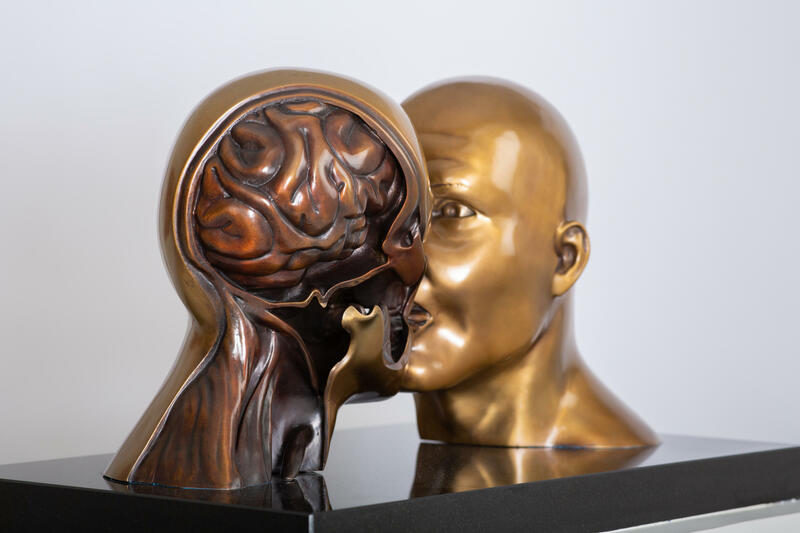 The interface between the outside and the inside. 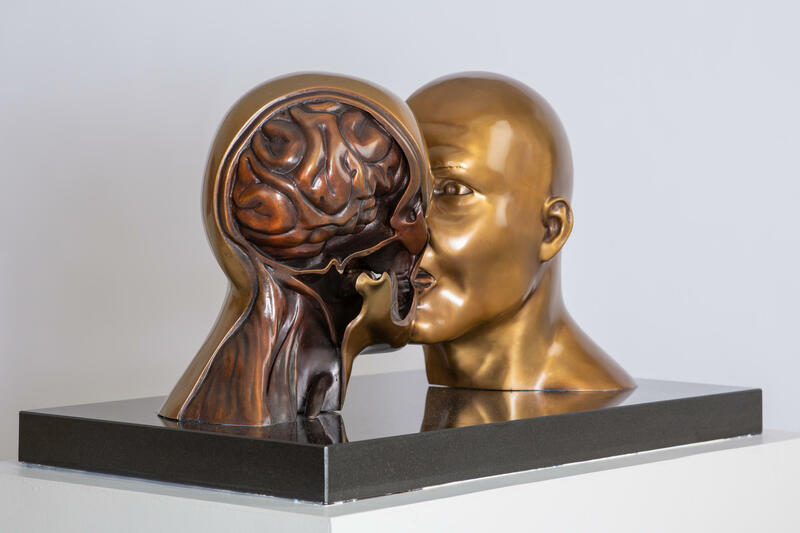 It guides the viewer further into other dimensions. 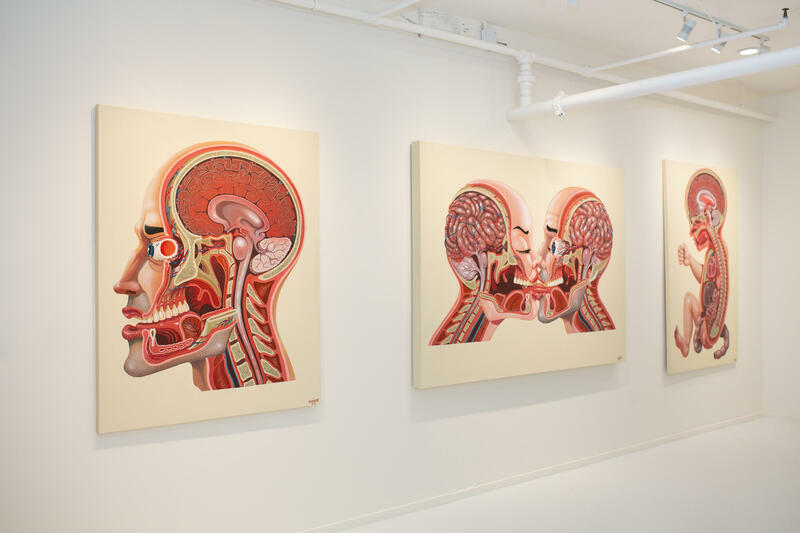 Dimensions, that are explored in the artist's latest body of work. 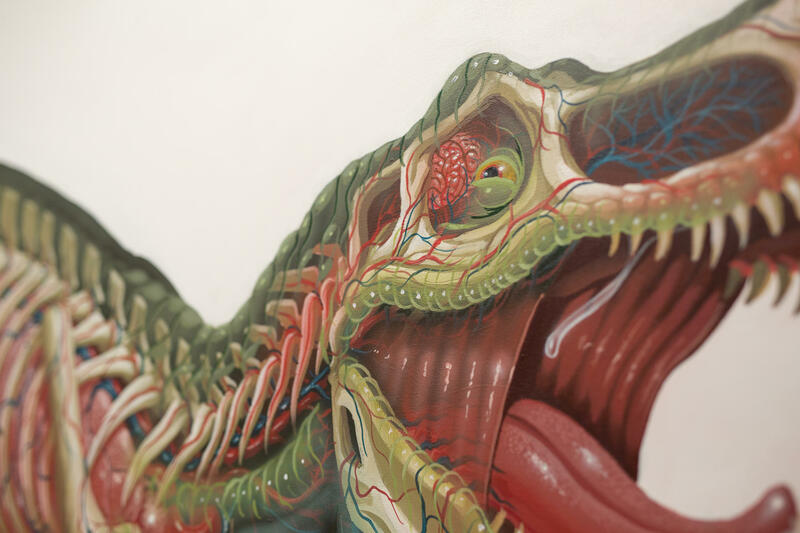 For the very first time, Nychos approaches from the inside out. 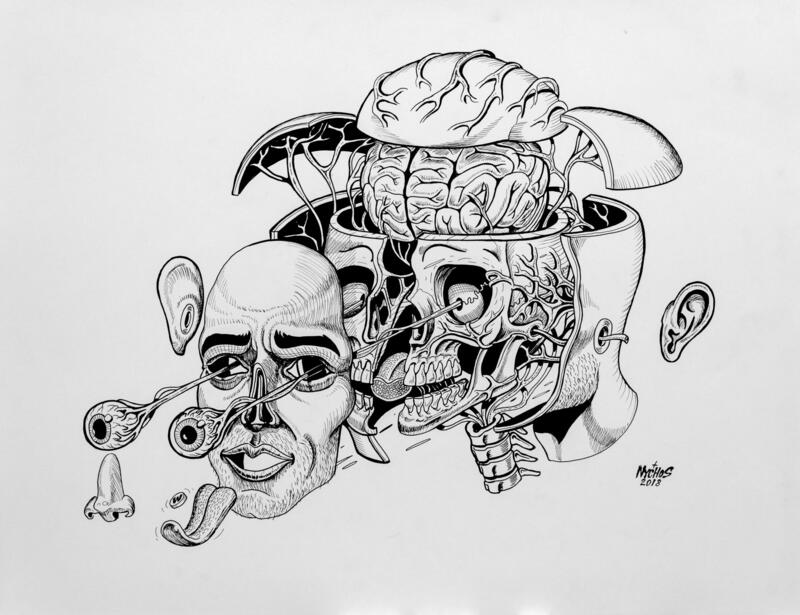 By means of the Third Eye, he slowly opens up the gate of consciousness within an imagery beyond the image. 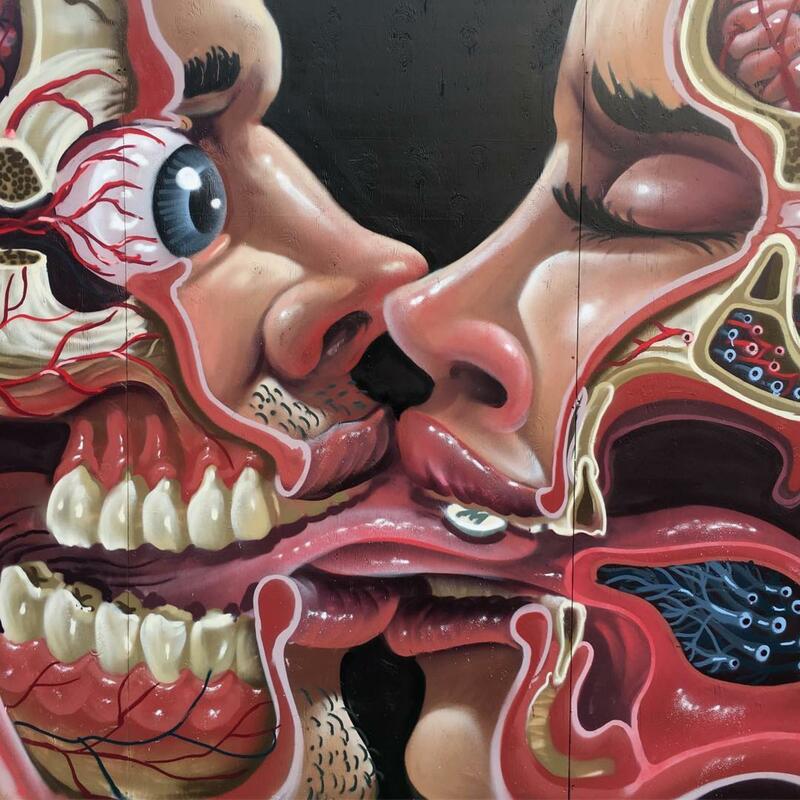 About the Artist: The Austrian urban art and graffiti illustrator Nychos has been part of the international art scene for more than 15 years now. 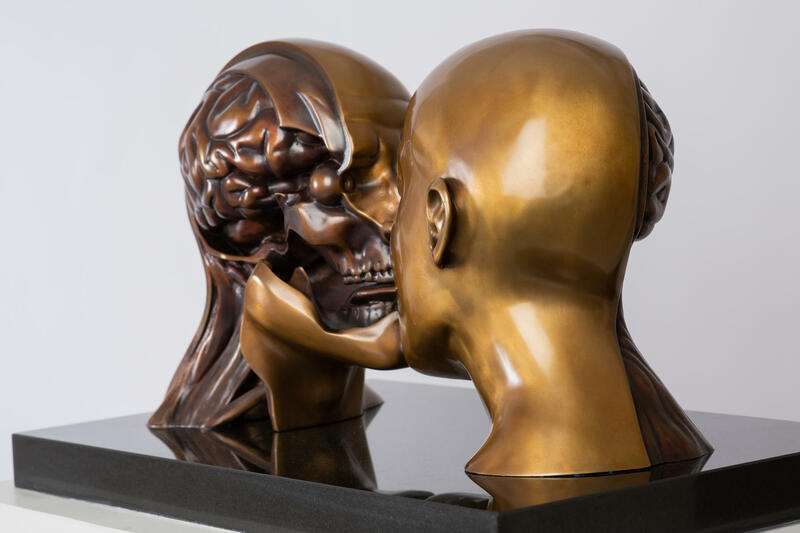 He is well known for his huge and technically outstanding art pieces in the urban environment as well as being part of gallery exhibitions. 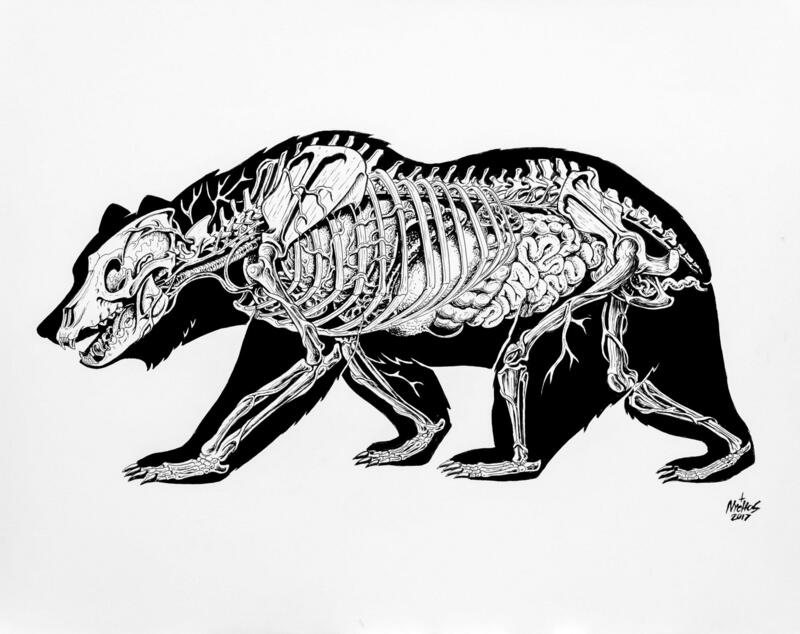 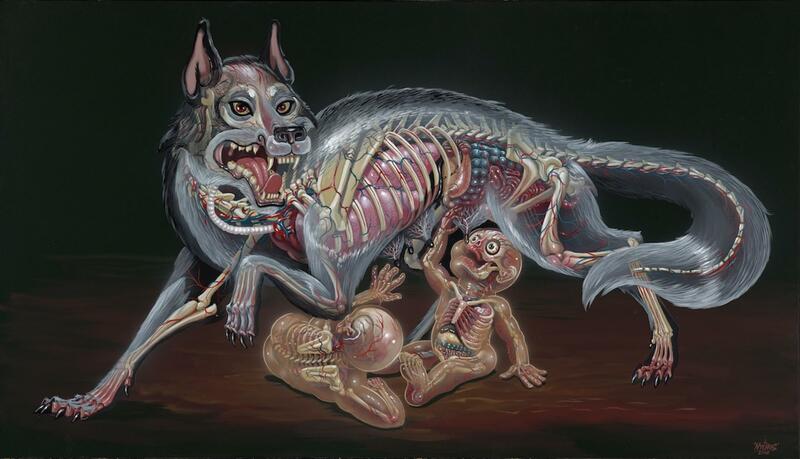 Raised in traditional Austrian hunting family, death and dissection were daily business for Nychos. 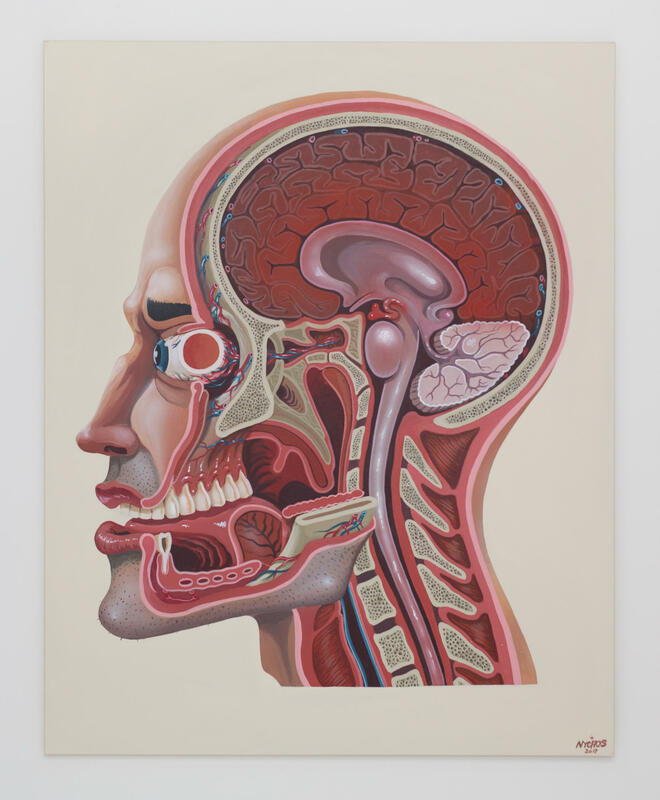 The proximity to animal viscera had a profound effect on him visually. 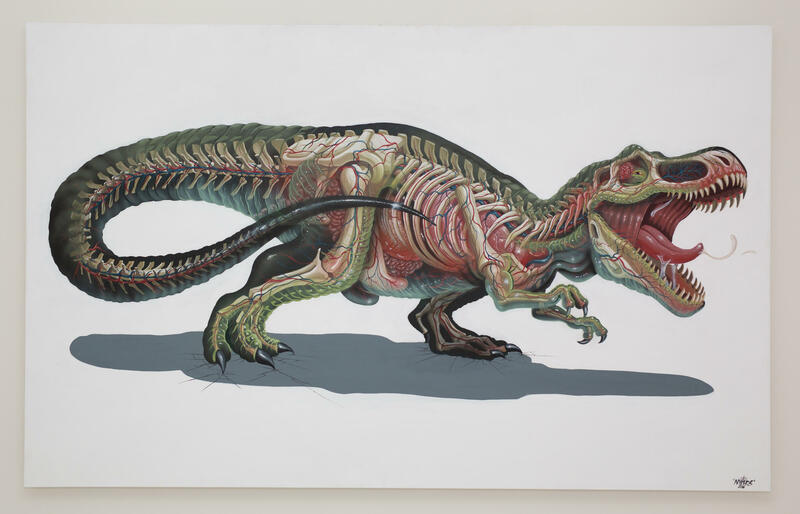 He explores the theme in different styles like dissection, cross section and translucency - pushing it to playful extremes. 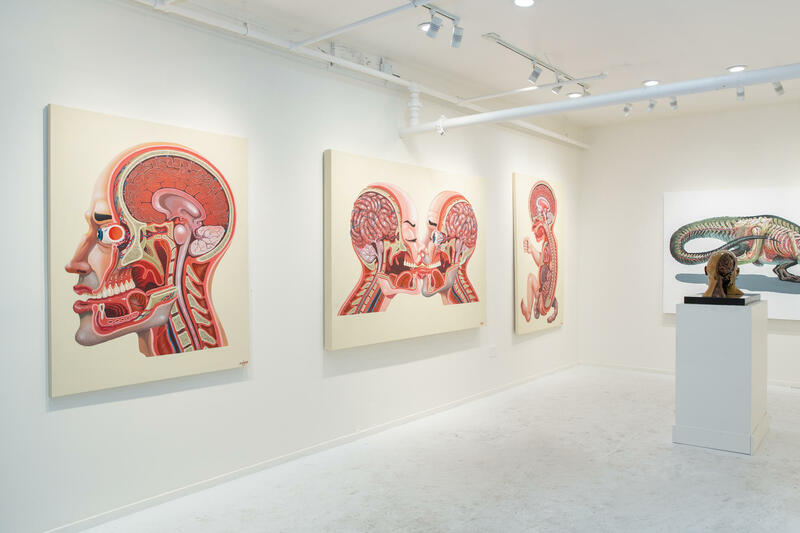 Recent murals in San Francisco, New York, and Miami make him one of the most sought-after artists. 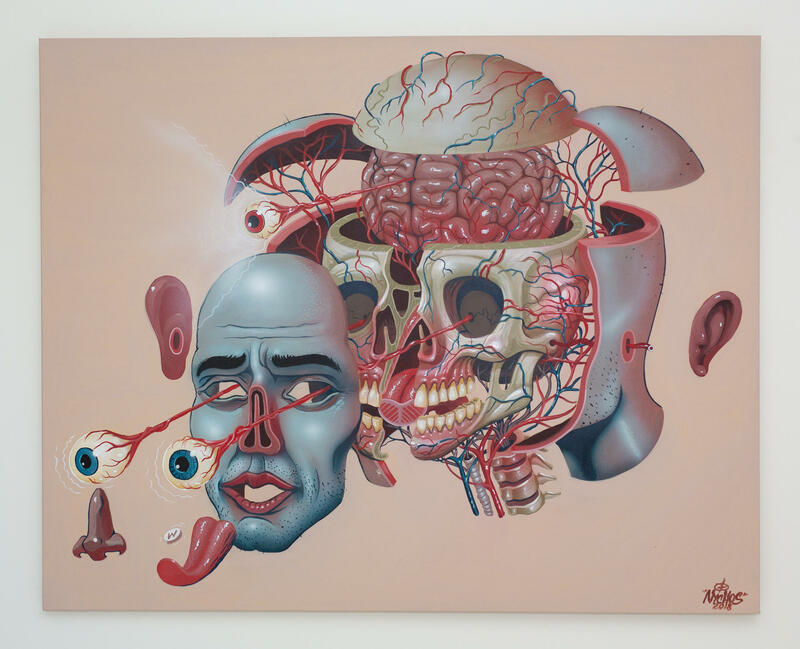 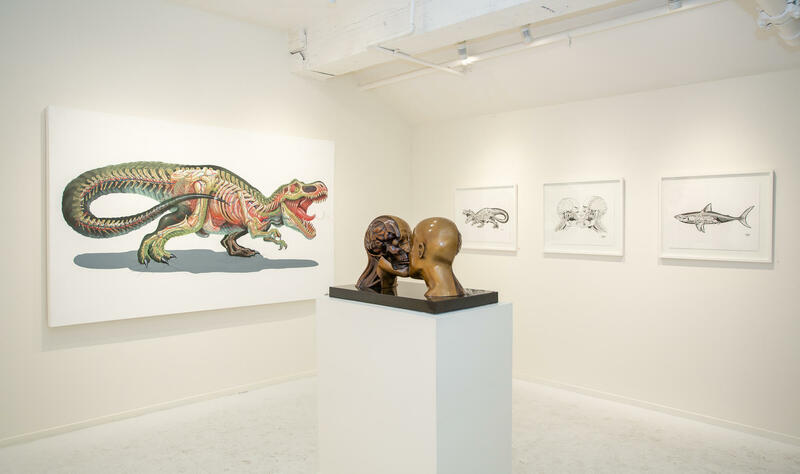 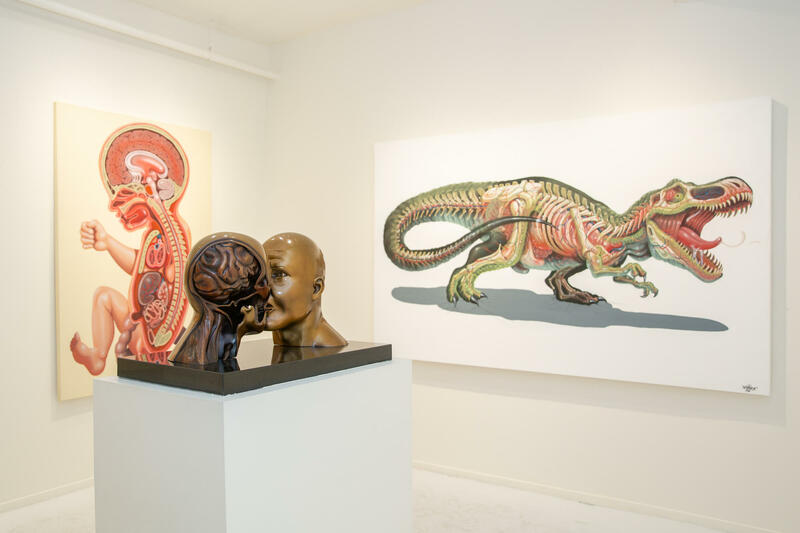 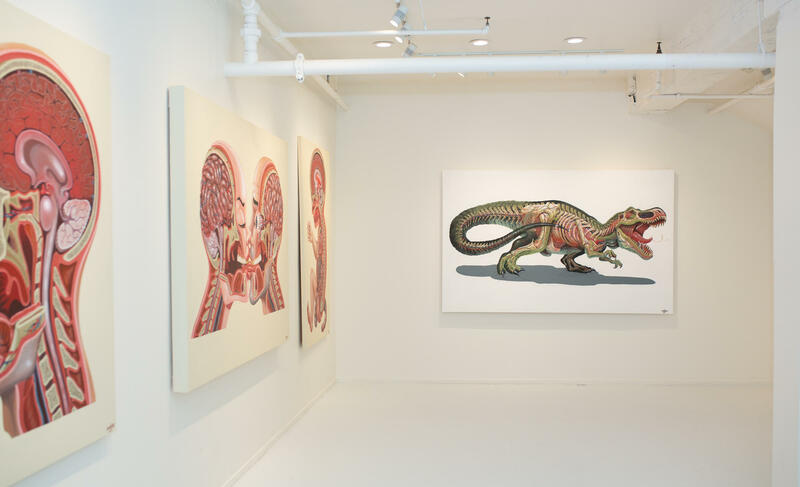 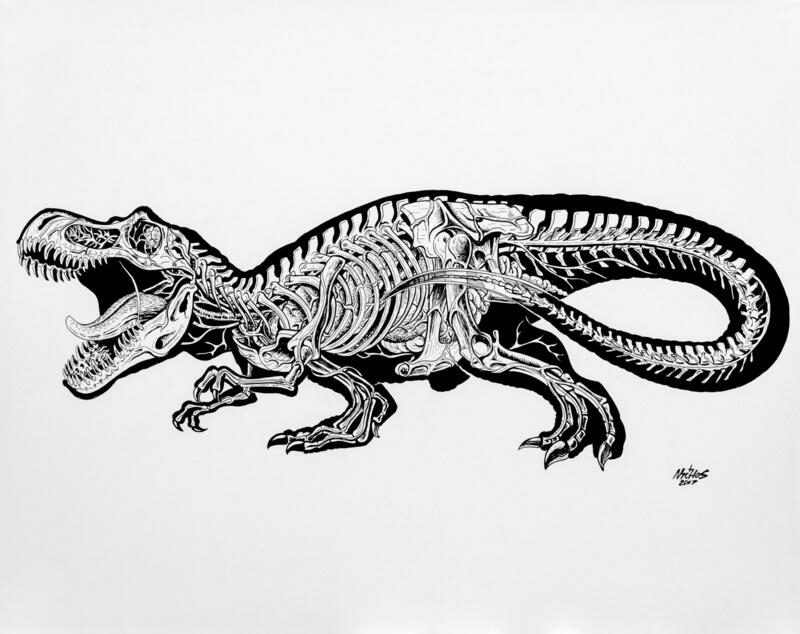 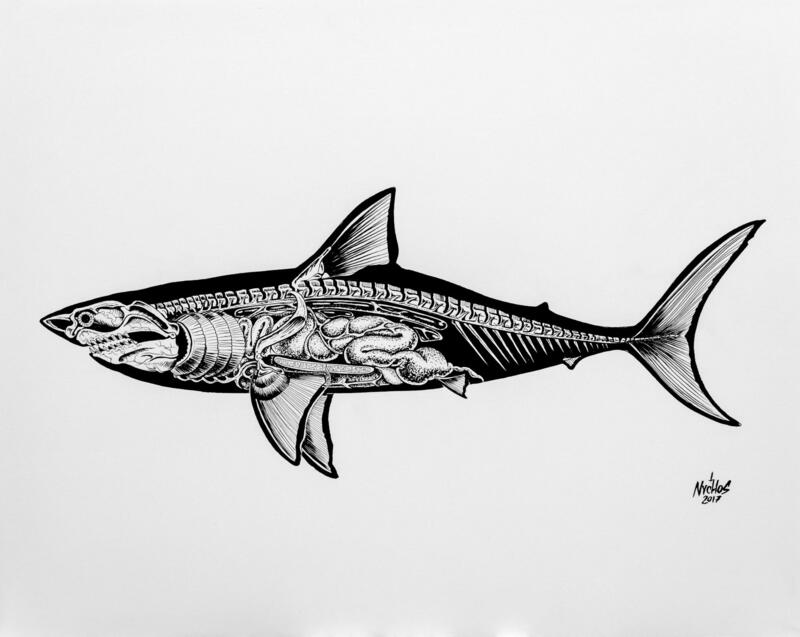 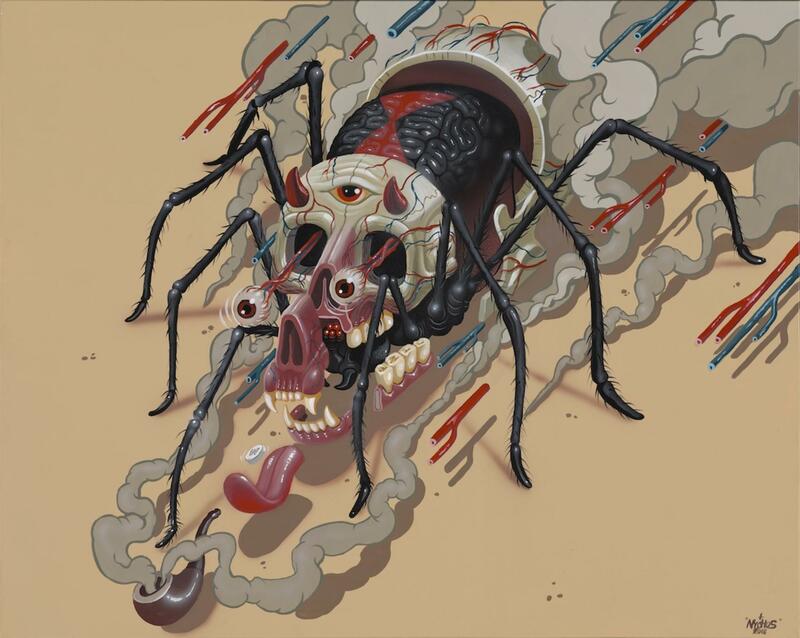 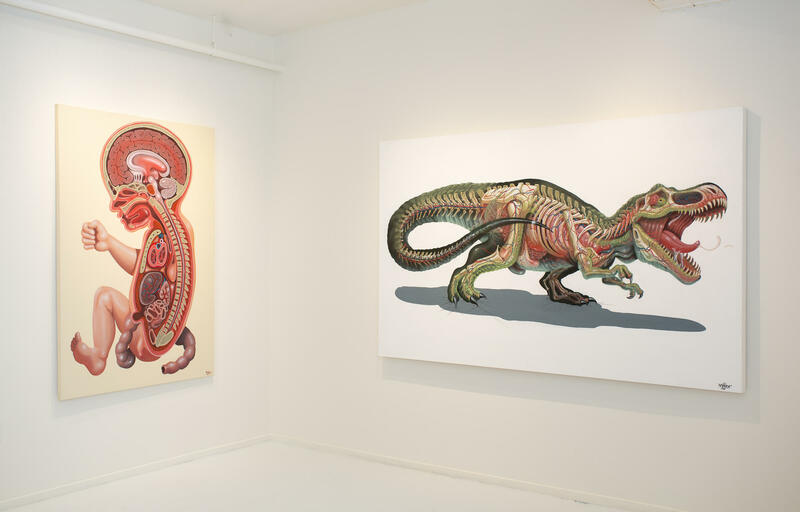 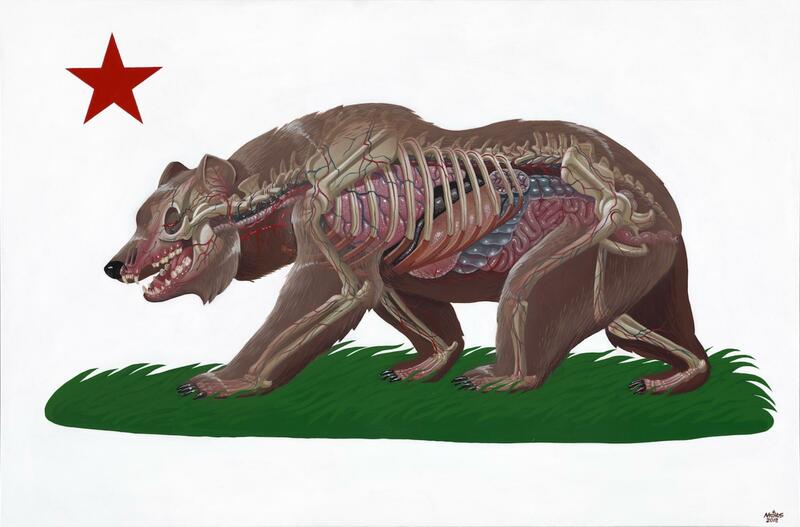 Nychos' paintings and drawings have been exhibited in galleries worldwide. 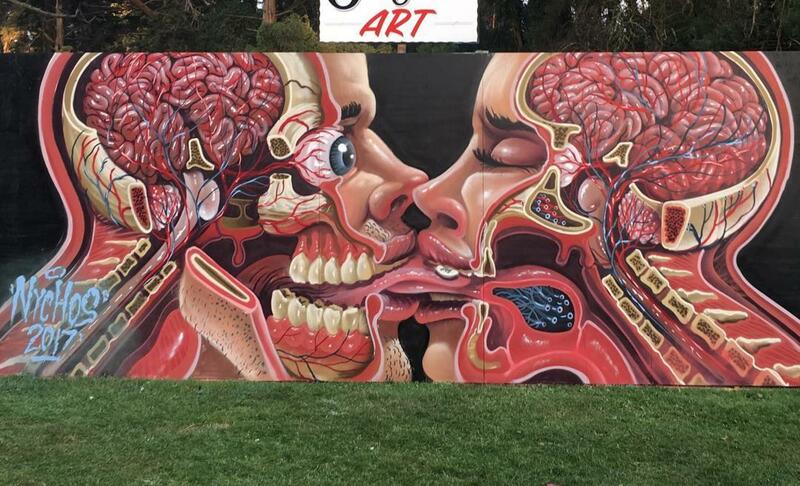 The works on canvas serve as unique compliments to hi massive public works that give character to cities all over the world.